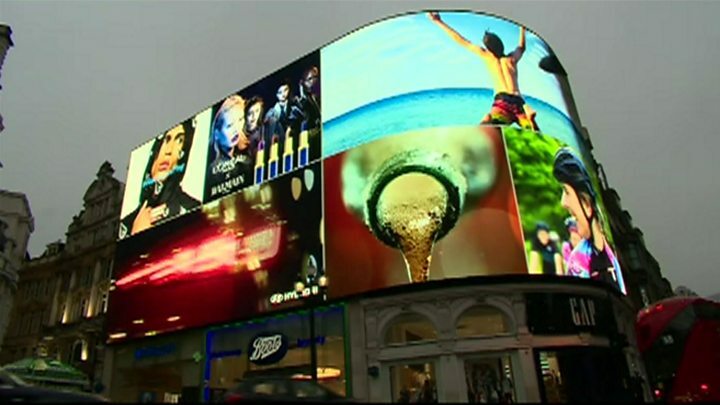 The billboard lights at Piccadilly Circus have been switched back on following major renovations. The sign, which has displayed electrical advertisements for more than a century, was switched off in January and replaced with a temporary banner. The new state-of-the-art screen is interactive and fully responsive allowing advertisers to include aspects such as live video streaming. About 100 million people pass the central London site each year. Before January it was the first time since World War Two the lights had been switched off, apart from during power cuts and special events. The billboard's previous six individual LED screens have been replaced with the largest single display in Europe, measuring about 780 sq m (8,400 sq ft) in size. The screen has about 11.6 million bulbs, improving the quality of images on display. A cradle has also been installed on the roof to clean and maintain the LED panels which are expected to last the next 10 years. Six advertisers are sharing the space and new technology allows them to change content based on the surrounding environment, according to site owners Land Securities. For example, if the temperature falls below a certain level, adverts for winter clothes can go on display instead of summer ones. A Land Securities spokeswoman said a "complex content management system" had been developed to "basically manage six live TVs that have the ability to move around the screen and change places". The first brands being displayed on the new billboard include Coca-Cola, which has been advertising in the space since 1954, and Samsung. 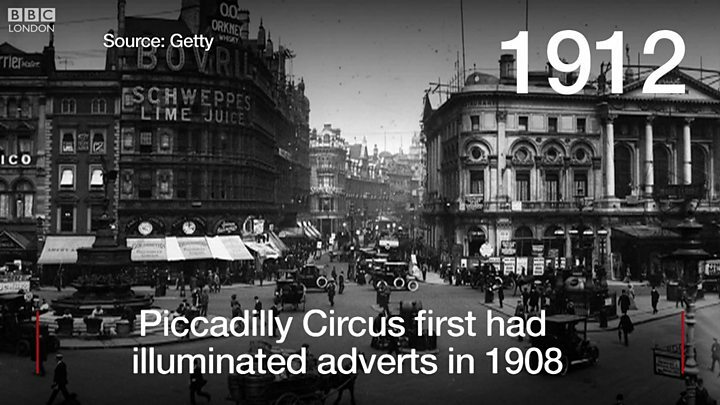 Perrier was the first brand to ever be illuminated in Piccadilly while BP, Panasonic, Cinzano and TDK have also displayed adverts in the past.